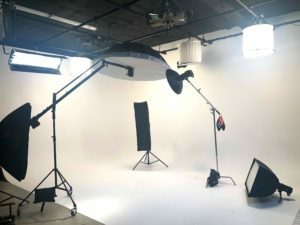 We offers 3 rate packages which include a 10 hour day, stage manager, grid w/DMX lighting, HVAC, 9 secured gated parking spots, and studio amenities including wifi access, indoor and outdoor client lounge, a coffee station and use of kitchenette. * Students and Non-Profits: We are happy to offer a 15% discount to students with current ID, as well as 501c3 non-profit organizations. * All rentals require rental agreement and production insurance. * Minimum 5 hour rental.